The oak iPad Woodcase from Studio Jasper has an elegant appearance thanks to its small shape, the leather handle, and metal clasp. The iPad case is both easy to carry by hand or in your suitcase. The case is also available in nut wood. 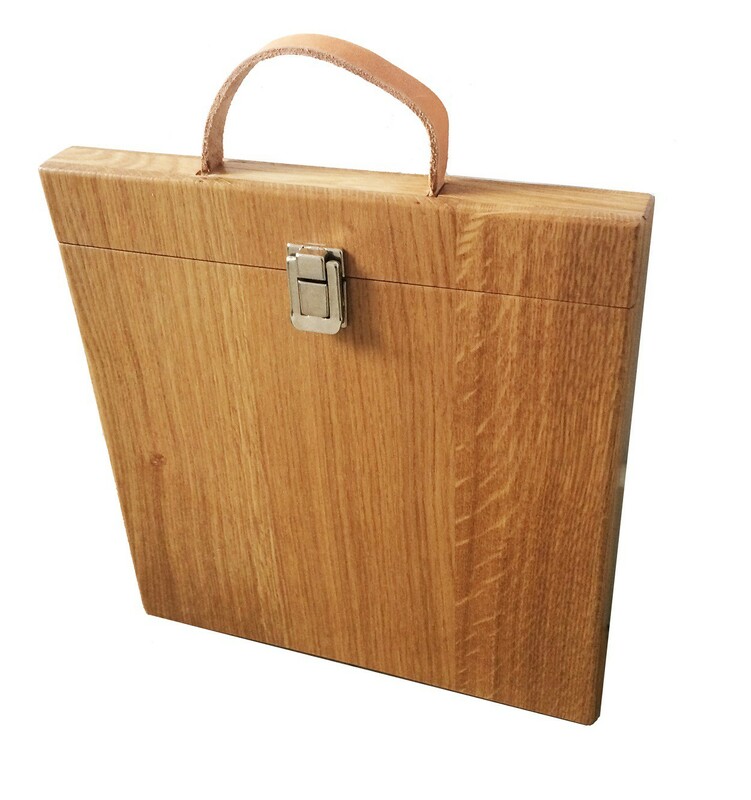 Protect your valuable tablet with this stylish wood case. In the opinion of Studio Jasper, a valuable Apple piece should certainly be protected by a valuable piece of craftsmanship. That's why designer and developer Jasper van der Hoeven designed this compact wood iPad Wood case. 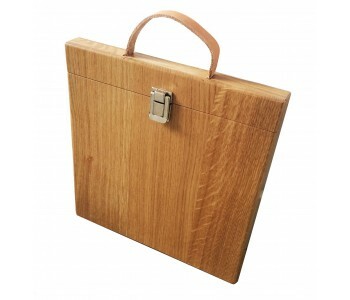 A stylish case made of solid nut or oak wood that has dried extra long at the wood shop to obtain this stunning result. The iPad case is finished with hard wax oil, which highlights the wood veins and protects the wood case against dust and dirt. The inside of the case is finished with quality wool felt. The iPad fits exactly and sits tightly inside. So your iPad can't budge and is protected against damage. There is also a space for your charger. Everything in one nice case! Ever since the introduction of the first iPad, the protection of it by a case or sleeve has become one of the most important fashion accessories. Both in business as in private, it's important to protect your valuable iPad well while still looking good. 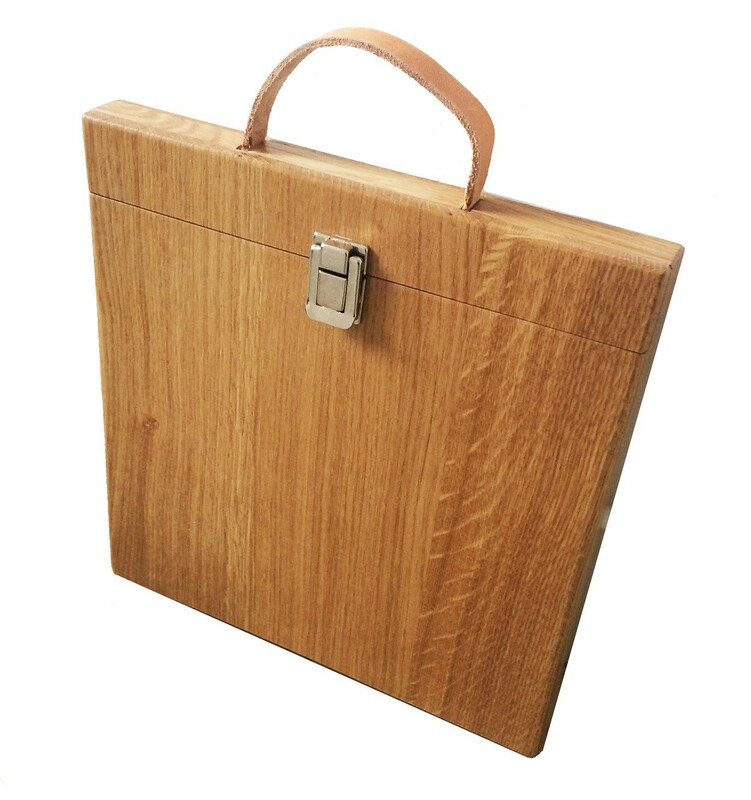 The iPad Woodcase is marked by its practical elegance and therefore fits both needs. 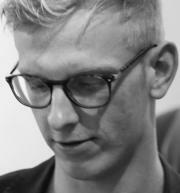 The young and creative entrepreneur Jasper van de Hoeven founded his own dynamic and independent design studio Studio Jasper in 2012. His minimalistic and unique style makes for surprising wood designs. He makes a true combination between technology and classic applications of wood with his wood design. 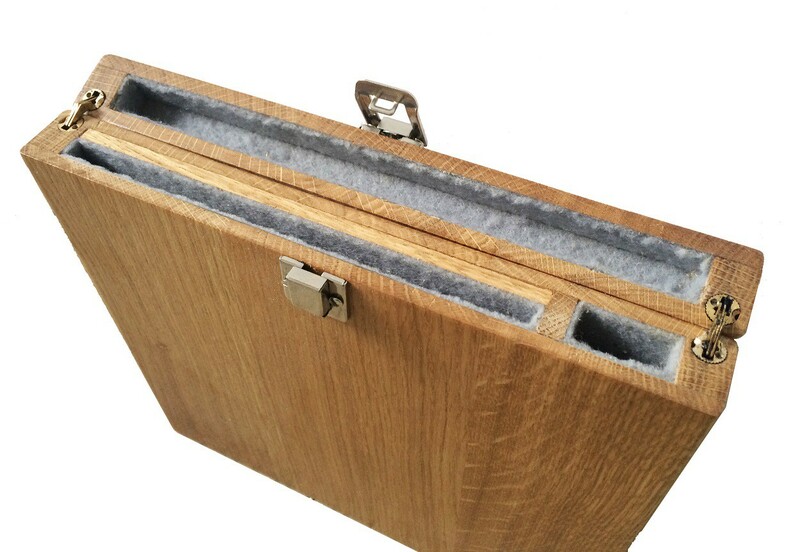 Like the iPad, Woodcase Look for his elegant wood 13 Inch MacBook sleeve!